Simply Pure Water Treatment Systems has developed a unique line of water treatment products that provide water treatment systems in tampa and water purification systems to a new level where conventional public water treatment facilities and other private well water treatment companies are unable to inprove on an ever growing list of undesirable chemicals, biological contaminants, suspended solids in contaminated water. 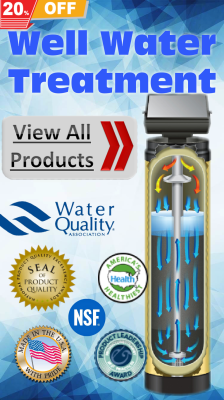 Regardless of the type of water contamination, we can design, specify, install and support the appropriate technology (water softener, well water treatment, water purification or in-door air purification) that solves the problem. Our design process begins with understanding the water quality issues and the site-specific conditions (Lab Water Testing). After a detailed analysis, custom degsined & complete turnkey systems are provided that meet the client’s needs, objectives and budget requirements. Great care is given to ensure that the specified water treatment technology fits the specific needs. 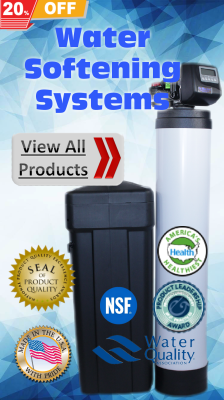 In addition to supplying the finest and most reliable Water Softener Systems Tampa and in all Central Florida, Well Water Conditioning and Water Purification equipment available; customer service, support and satisfaction is more than our goal, it is our Mission. Simply Pure Water Treatment Systems and our certified and approved authorized distributors are proven water treatment specialists they are Willing, Able and Capable in empowering the customer with knowledge to pick the right technology for the specific level of water softeneing, whole house water treatment and water purification wanted, even if Simply Pure Water Treatment Systems sells the best water softener in Tampa, well water purification and water purification equipment or just help you choose the right water treatment in Tampa, we will be there along the whole way. Having over 42 years in combined experience, field expertise and over 1,800 systems installed in 6 years we know what it takes to get the job done right the first time to ensure that our customers are completely satisfied and getting what they payed for, Simply Pure Water!